G.D. Arul Raj, California watercolor painter. 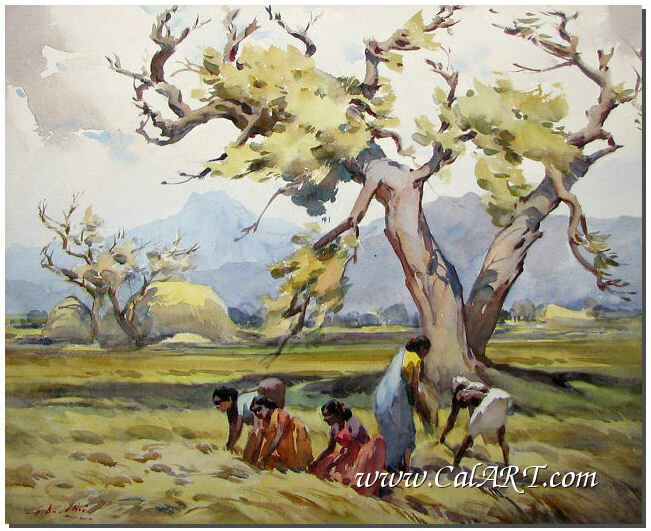 Original Watercolor by Indian/California Artist G.D Arul Raj. 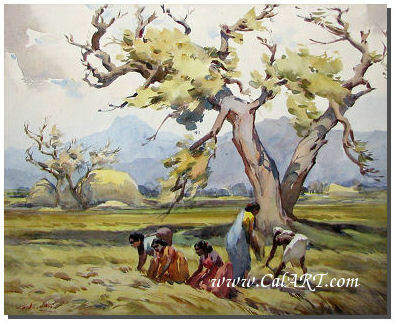 Painting is signed lower left and titled on back "Field Workers". Still has artists original business card attached to the back (with Laguna Beach address). Please call 760-943-8706 or email me with any questions.